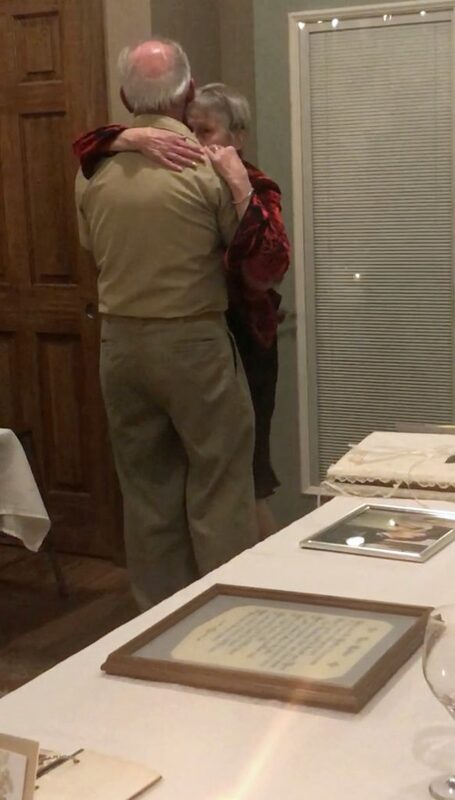 A doting military husband surprised his wife with a tear-jerking third marriage on their 50th wedding anniversary using their grandchildren to officiate. 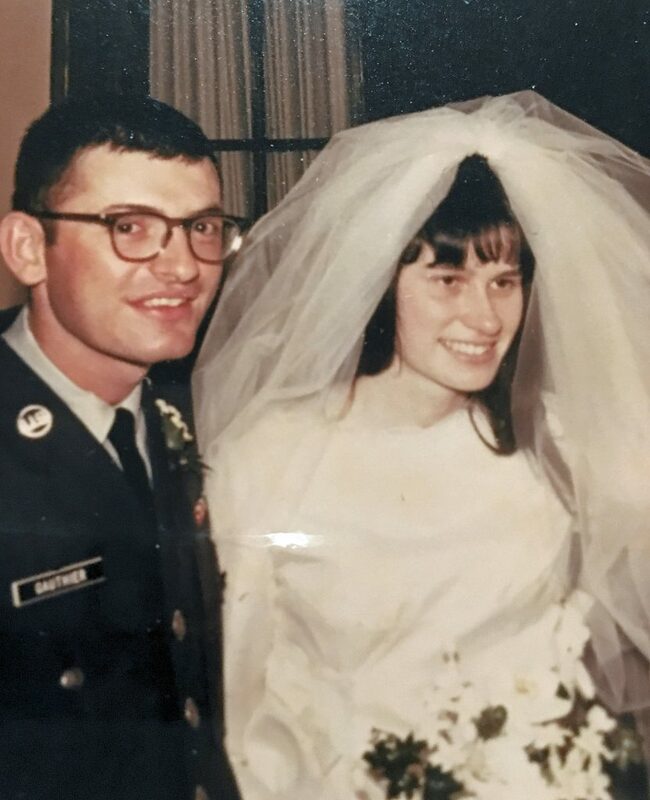 James Gauthier, 72, from Tonawanda, New York, spent a month planning the secret celebration that would see Lynn, 71, say ‘I do’ for a third time. 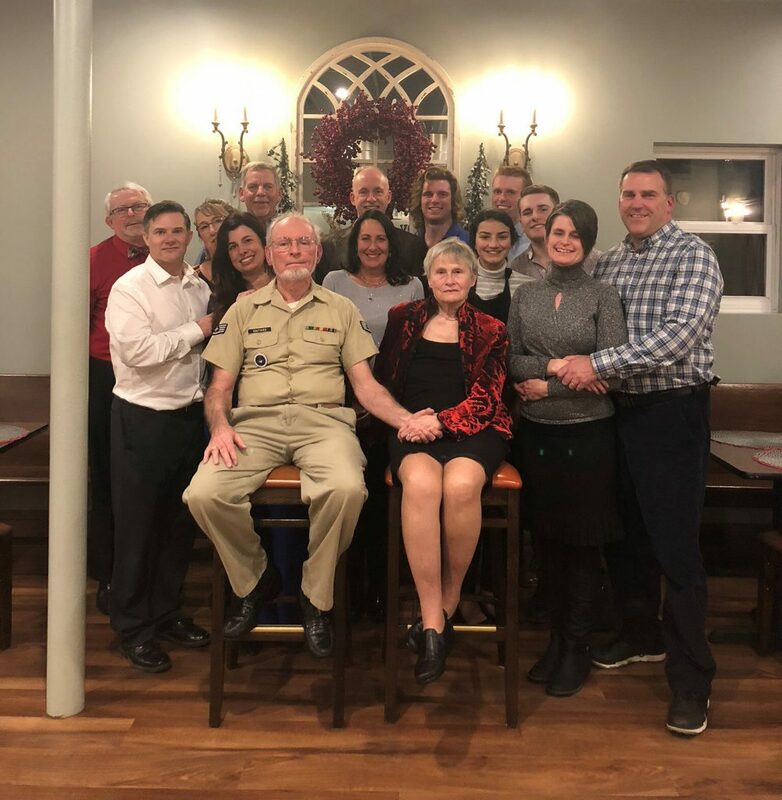 She was none the wiser at the family meal, that her beau was sneaking-off to change from his shirt and tie into Airforce attire so he could propose once again. 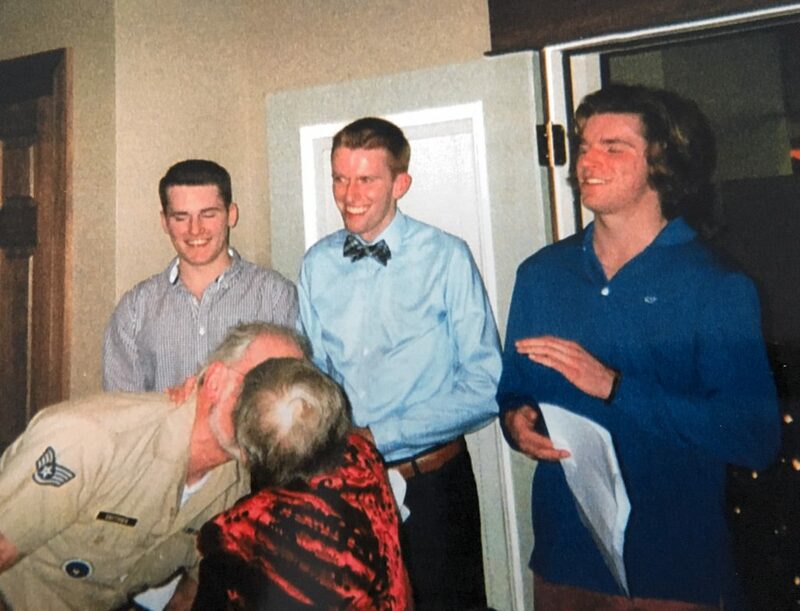 Having just passed their online ministry qualifications grandchildren Christopher, 23, Brett, 21, and Cole, 18, presided over the ceremony, so the couple could tie the knot again. In adorable footage, the couple then slow dance to the Gibson Brothers’ song ‘Forever Never Ends’, a poignant piece about continuing to cherish life together. 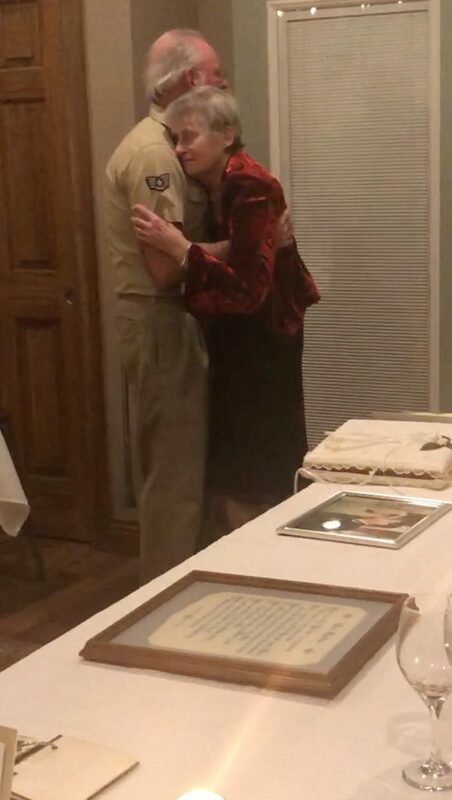 According to family members, there wasn’t a dry eye in the room during their dance, not that James would know as he wasn’t able to take his eyes off his wife. James, a retired trial lawyer, said: “My thought was that we only have this occasion once and I didn’t want to look back and think what I should have done. “I didn’t want any regrets, so I pulled out all the stops. “Only a few people knew about it, most of the crowd wasn’t aware anything would happen apart from the meal to celebrate our anniversary. “Even Lynn didn’t know it was going to happen, I surprised her, I knew she couldn’t be upset if her three grandsons were involved, as she loves them to death. “There were a lot of ‘Oohs’ and ‘Ahs’ by the time we were finished dancing, I didn’t see it, but I was told there wasn’t a dry eye in the place. “I didn’t know because I wasn’t looking at anyone else but Lynn throughout the whole dance. Unaware of the secret plan James, also known as Jim, had in store for her, Lynn was left overwhelmed with emotion. She admits that she couldn’t stop crying throughout the dance. Lynn, a retired nursery teacher, added: “Jim put on his uniform and it still fit him, then he started dancing with me after the renewal of the vows. “I had tears and you can definitely see me crying. It was a wonderful day. Little did Lynn know in 1968 that the weekend after she caught the bouquet at her friend’s roommate’s wedding, she would meet the love of her life. James, who had eyed-up his future wife during a school class, ensured not to miss his chance to ask her to dance while they were both out at a bar – leading to a nine-month courtship. After his draft notice was issued, he tried to stay as near to Lynn as possible and would become an Airforce reading teacher to help enlisting recruits pass their exams. James said: “It gave me the chance to be close to Lynn, her parents and for us to get married. 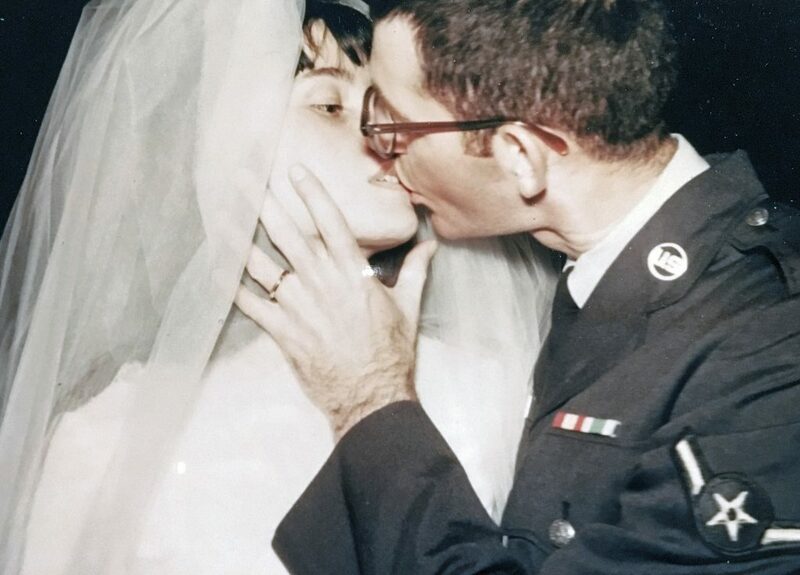 “I was allowed ten days of leave in December of 1968 to come back and get married. At their initial wedding ceremony in Buffalo, New York, near to where they still live to this day, James wore his military uniform. They would go onto have daughters Lauren and Michelle, as well as three grandchildren. He said: “When I got married, my brother and I only had one suit between us, so he wore mine and I wore my uniform to get married. After a Bishop refused to marry Lynn and James the first time around, in Buffalo, due to her not being Catholic, they would go onto have a second marriage in San Antonio, Texas. With two witnesses they tied the knot at a military base where James would go onto get a master’s degree and teach at a junior college. Last year on December 28, they exchanged their vows for a third time, in an intimate ceremony performed by their grandchildren. James said: “The original was such a whirlwind, with a lot of uncertainty as to whether I could have ended up god knows where. 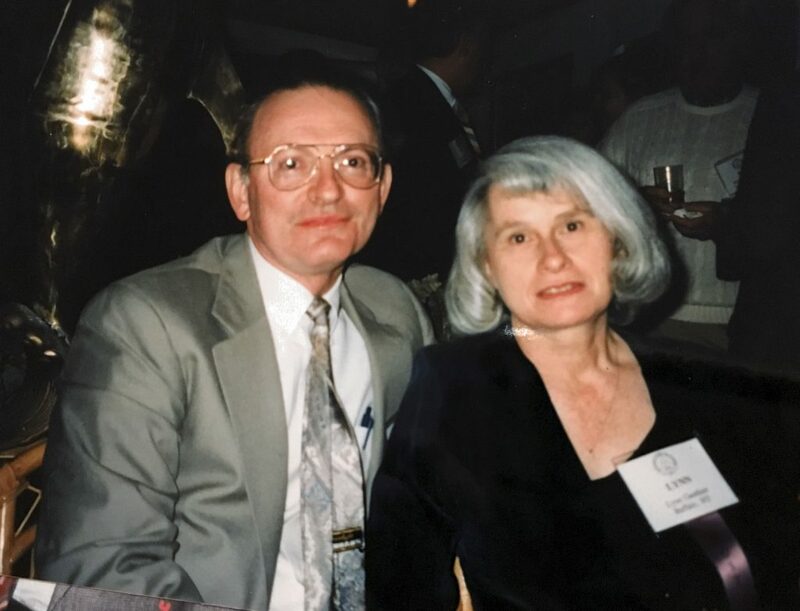 “The second wasn’t much of a ceremony for the Catholic service, when we married in San Antonio, Texas, we had Lynn, I and two witnesses. James explains what he believes to be one of the reasons behind the couple’s successful marriage.